School supplies are stacking the racks at Walmart & prompted this retro writer to remember a new back-to-school invention from 1980: Erasermates. Hot enough for ya? Here's some pics of an old school water slide from the 70's. The main reason I link it here is because it reminds me of the one at Willow Springs, which was was a summer haven to many of us Sheridan & East End-ers before the days of Magic Springs. I've found a new retro-blog that any child of the 70's & 80's would love: The Retroist. I've also been listening to some of their podcasts. Pretty good stuff. Does the name Toru Iwatani ring a bell? Well, the legend tells that game designer, Toru Iwatani's eureka moment came when he removed a slice of pizza from a pie, creating the visual inspiration for his next idea. It was in this moment that, according to Iwatani, Pac-Man was officially born. Now that he had the look, he needed that special something to attract his target audience. After listening to girls talk to one another, Iwatani determined that food and eating would be the way to get the girls in the arcade halls.  But wait - there's more - a Pac-Man Museum to celebrate the game's 30th birthday this year.